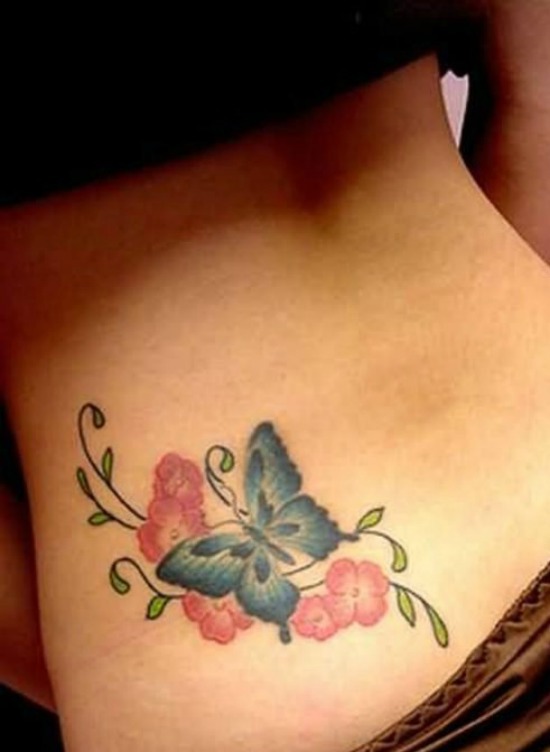 Butterfly tattoos over the years have been worn by both men and women. 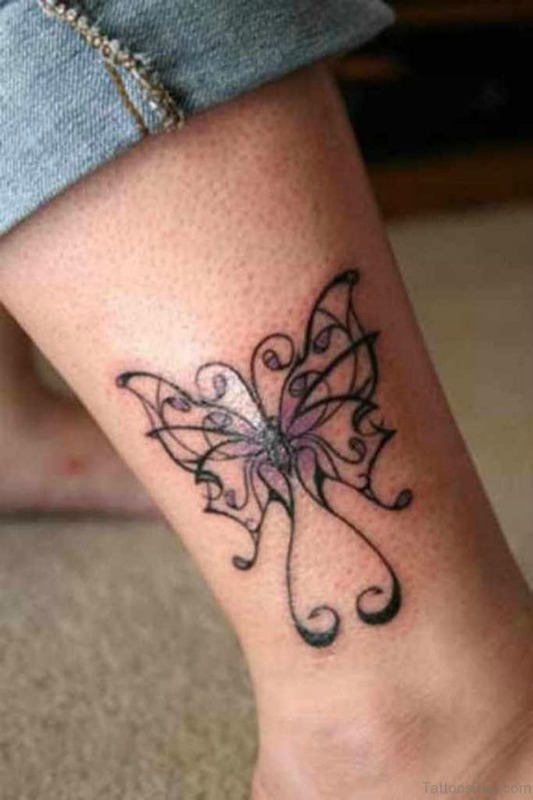 Butterfly tattoos are usually associates with the feminine. 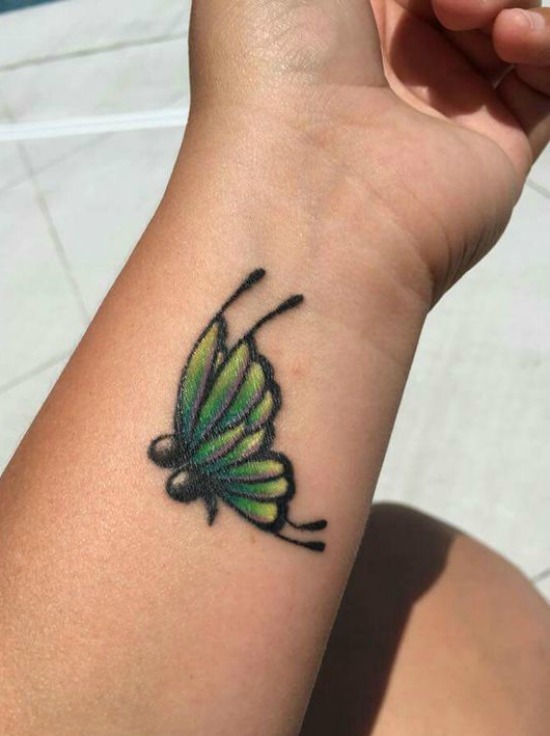 The first thing that comes to mind when mentioning them is a girl with a beautiful butterfly tattoo on her back or shoulder. 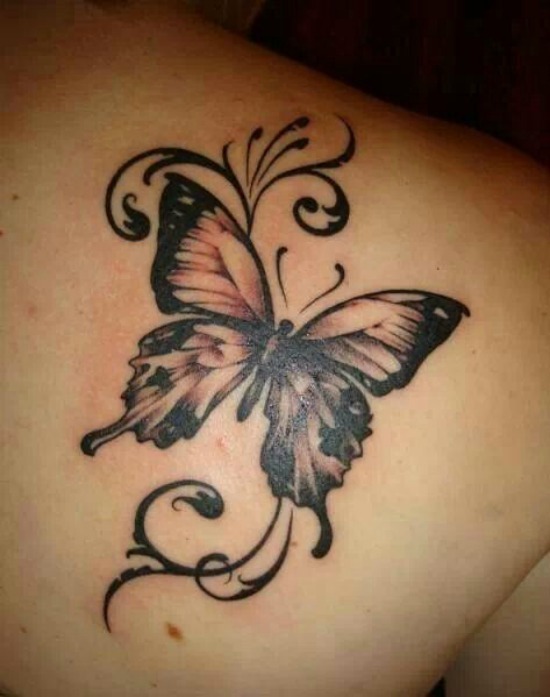 But the butterfly is a design exclusively reserved for females? 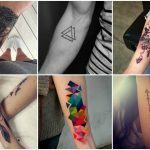 Is there any other reason why these are the first places of the designs chosen for a tattoo? 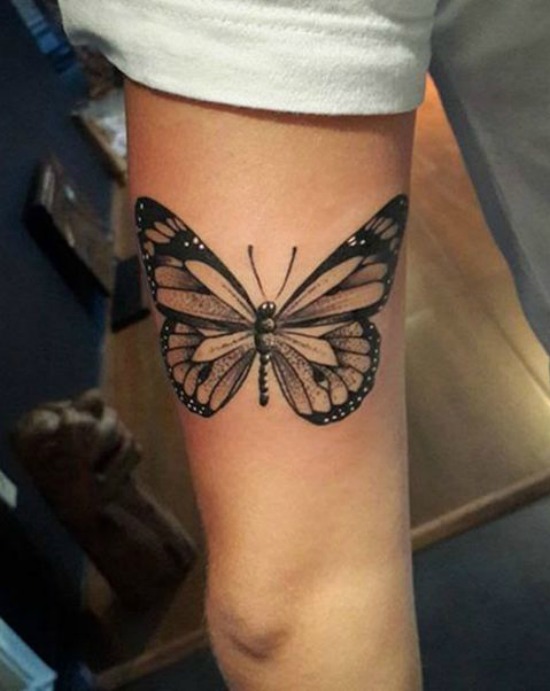 As a curious fact, I tell you that there are about 18 000 different species of butterflies around the world, and their size can vary from 1-25 cm, each of colors more vivid and flashy, as you see, there are infinities of variants of designs that can Serve as an inspiration. We invite you to read more so that you can make your decision by being well informed. 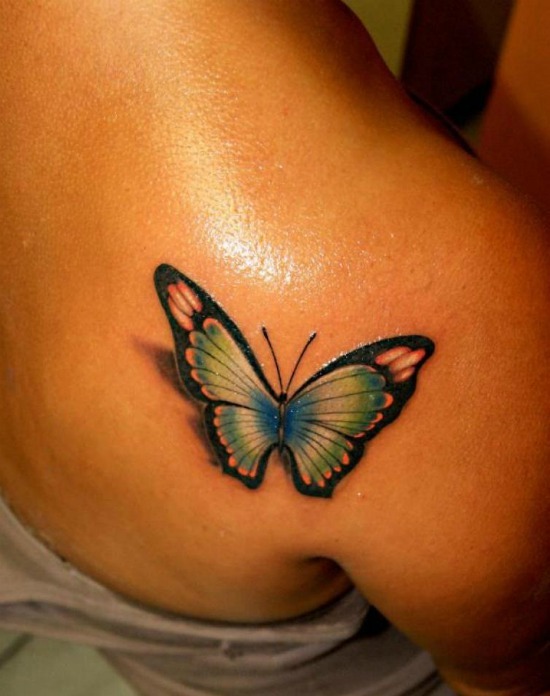 In Greek mythology, the goddess Psyche, the personification of the soul, was always represented with butterfly wings. 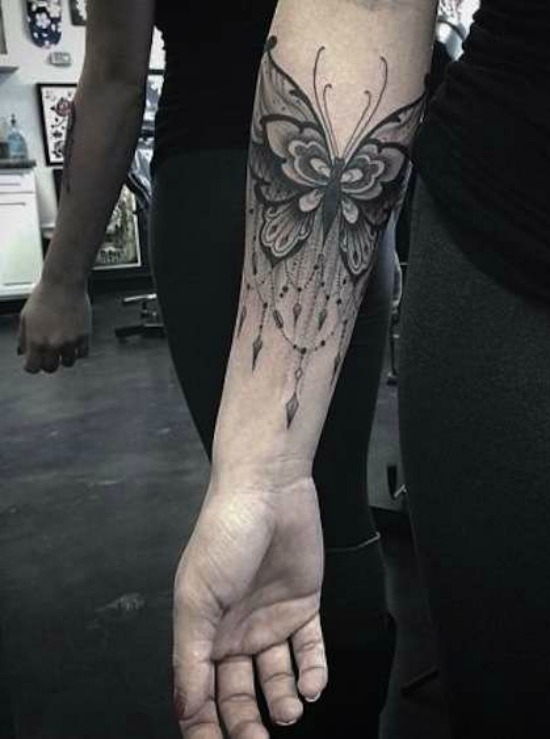 This is because the Greeks always associated the birth of soul and spirit with the birth of caterpillars when they break the buds. A structure is broken to be reborn, and thanks to the freedom that the wings grant, the spirit or soul of the person develop and live. 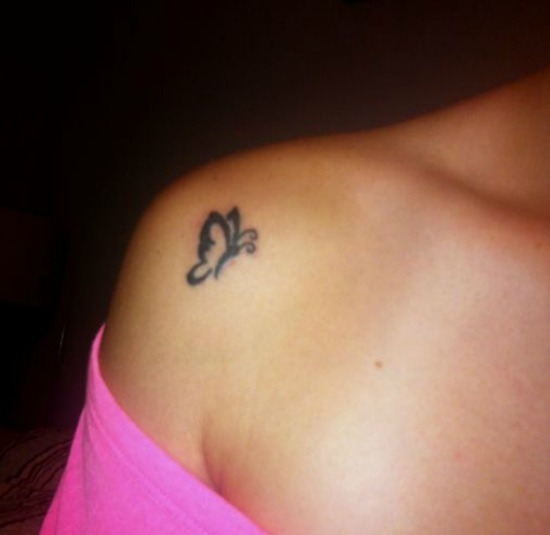 It also said that a soul that leaves could return to Earth in the form of a butterfly. 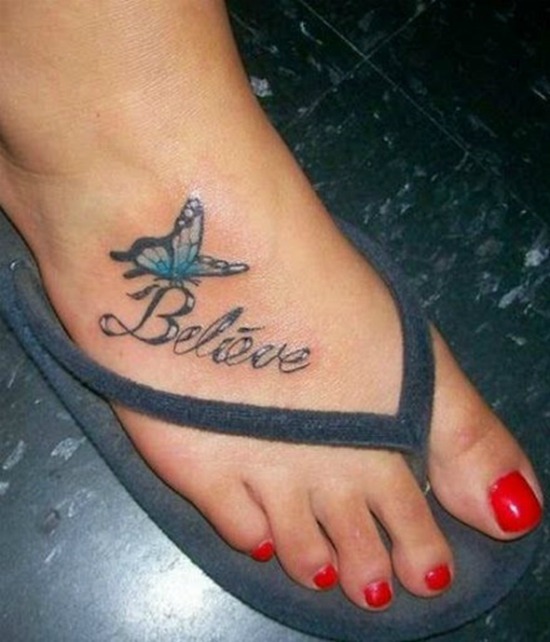 So far these concepts do not seem to be exclusive to women. 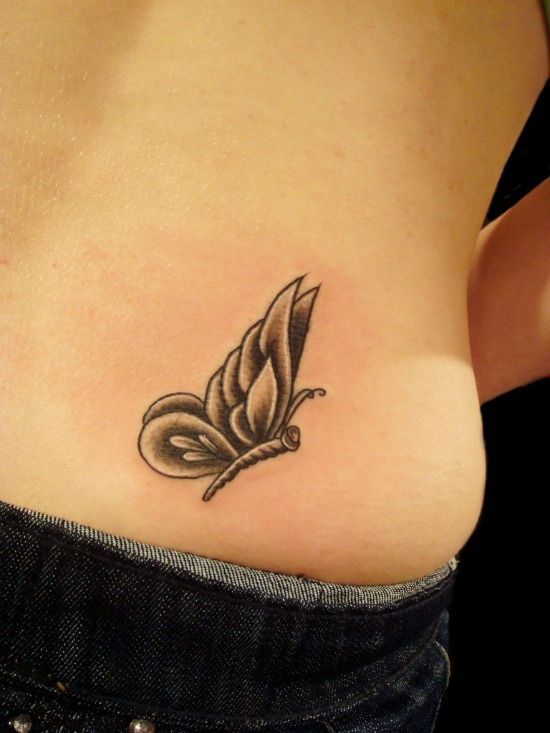 In fact, the first butterfly tattoos recorded on men. 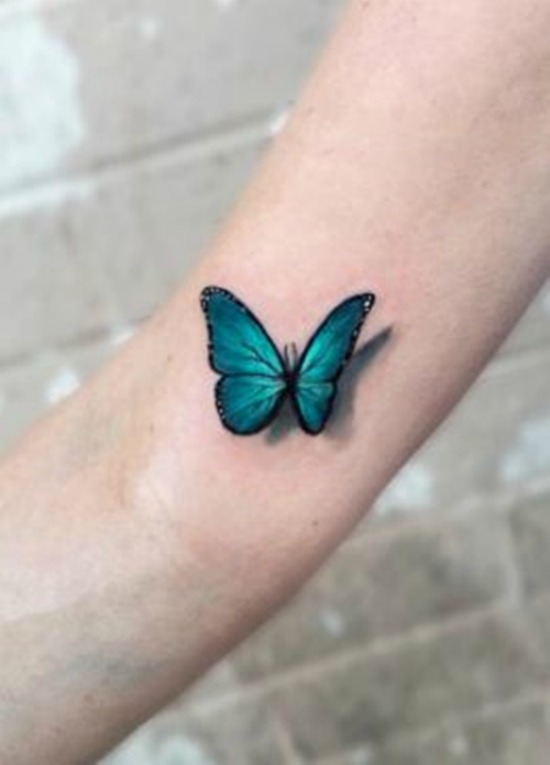 The story goes that Augustus, the Roman emperor, took a tattoo with a butterfly in a very young age and showed it as a personal badge. 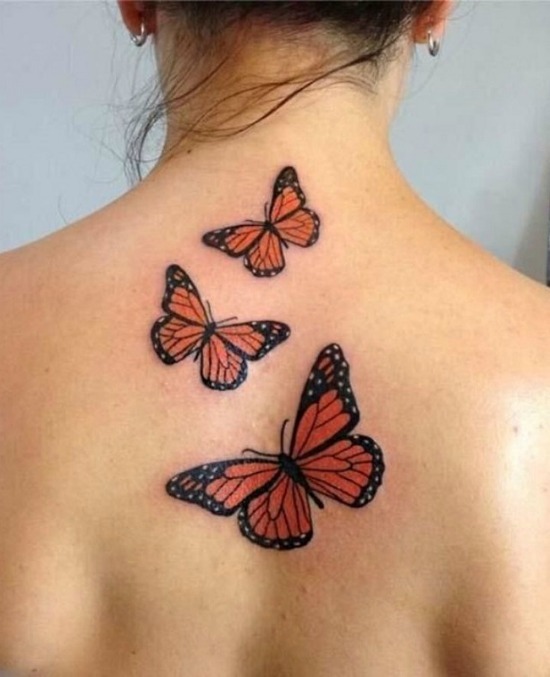 Also, priests and warriors of several towns of Mexico wore butterflies in their pectorals. 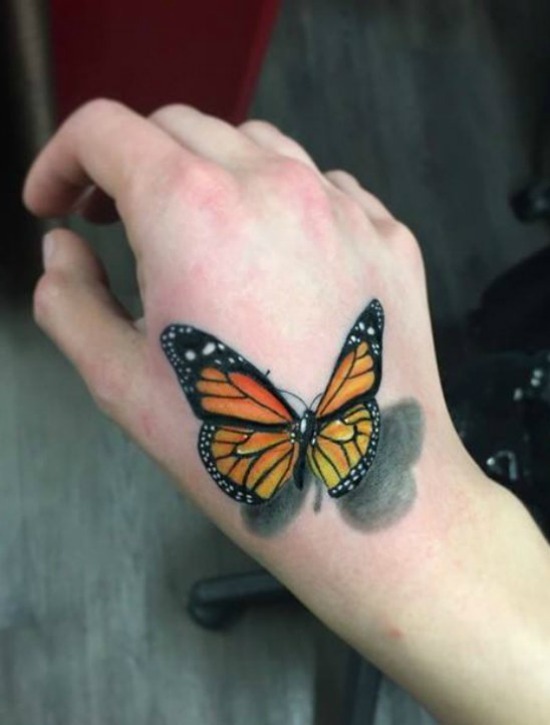 Apparently, it was a way to invoke life, and if the person died in some battle, that brave warrior would resurface to the life in the form of a butterfly. 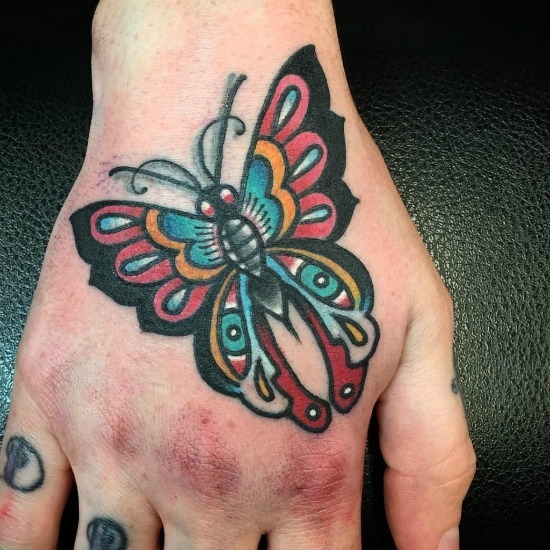 While butterfly tattoos have historically used by indigenous warriors and even Roman emperors, statistics nowadays indicate that the butterfly is the motif that tops the list of designs that women choose. 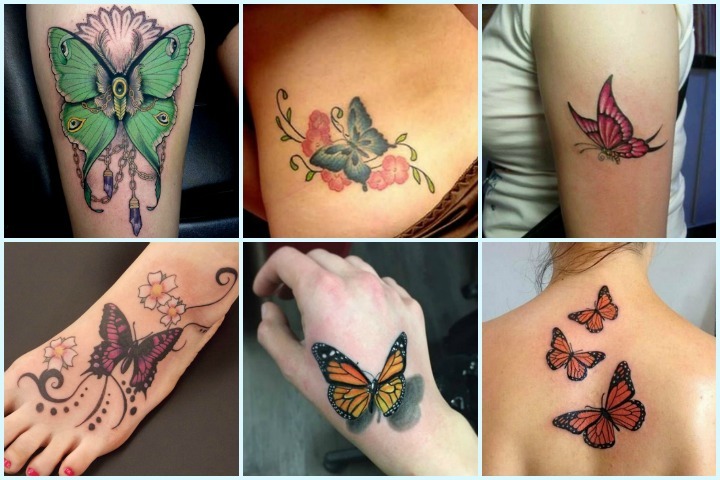 More than eighteen thousand butterfly specimens found in catalogs of tattoo designs. They correspond to different species and have very different morphological and color characteristics. 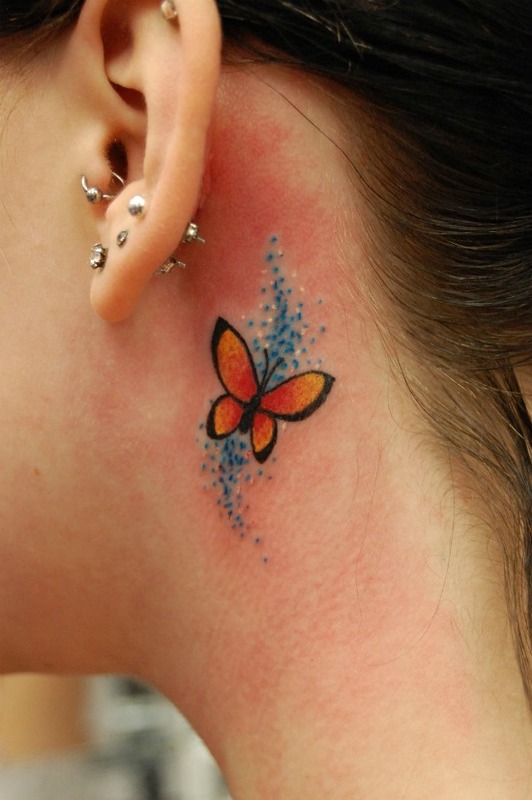 We show you some types of tattoos with butterflies to choose the one that best suits your personality and style. 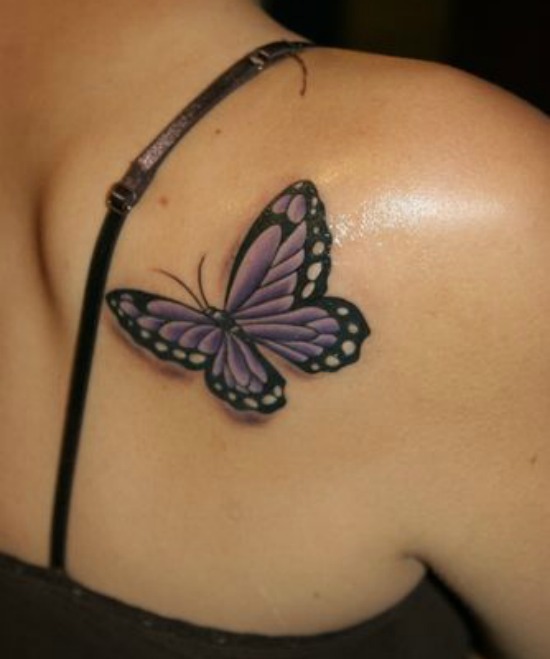 Choosing a butterfly in motion clearly conveys the idea of freedom. The flight represents the evolution and the growth, so much of the mind as of the spirit. 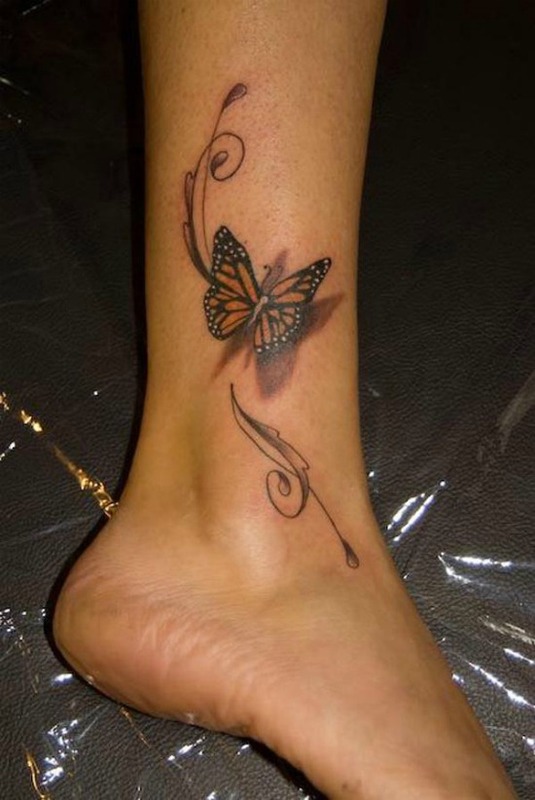 For this type of design is recommended a medium size and in a place of the body that can actually look. 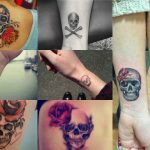 Psychological studies have shown that when a person goes through a difficult time in their life, a visible tattoo can help keep focus. How can you help? 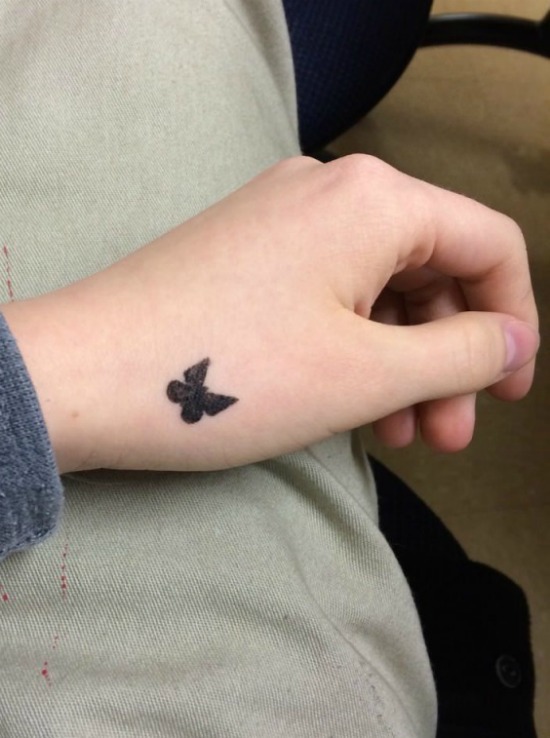 For example, a butterfly that is about to fly is a change. Leave one state to move to another. 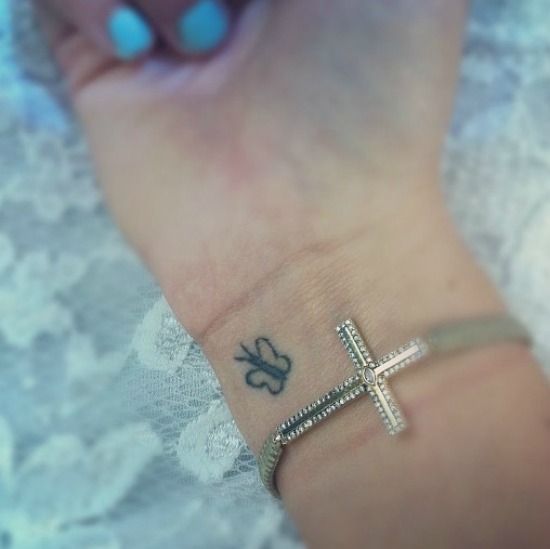 Leave the bad to go to the good, to explore and that way hope is revived. 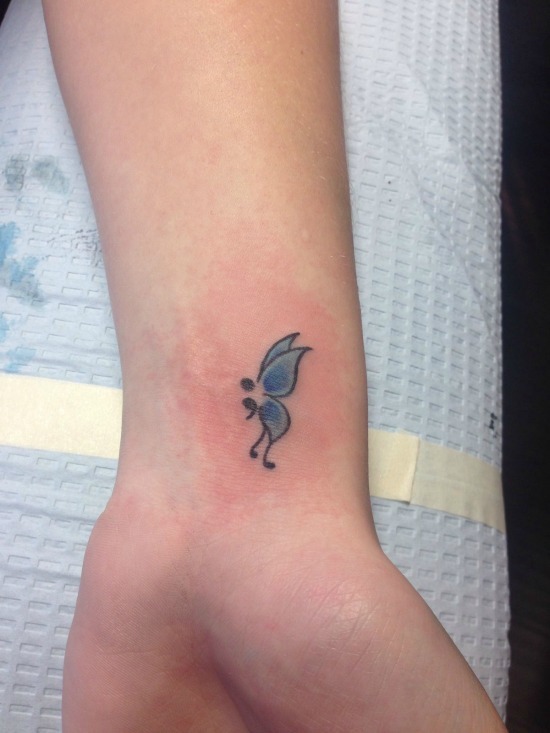 We must leave behind what hurts us, and what better way to remember than through a tattoo? 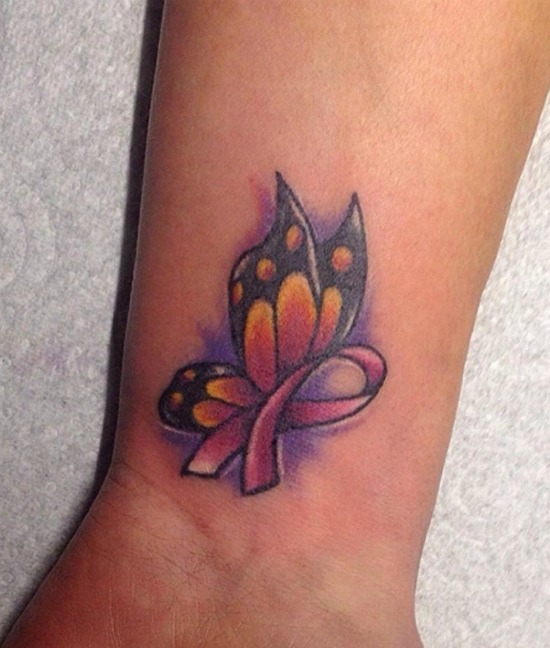 This is one of the most chosen combinations when it comes to making a “complete” tattoo. 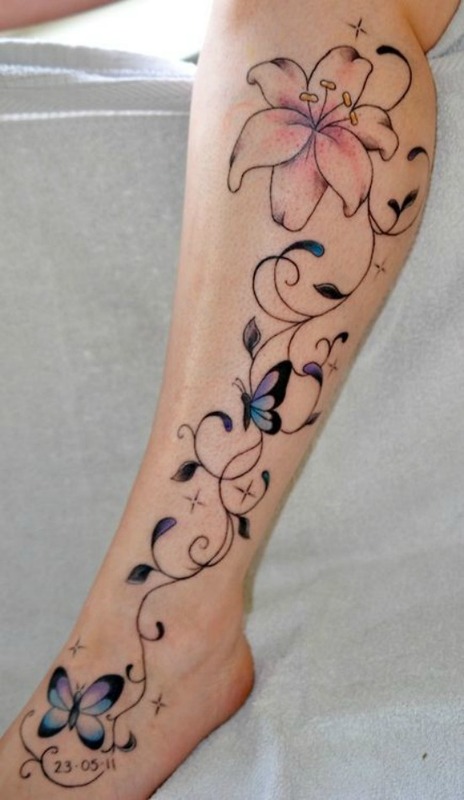 A butterfly perched on a flower is one of the most eloquent images of femininity and sensuality. 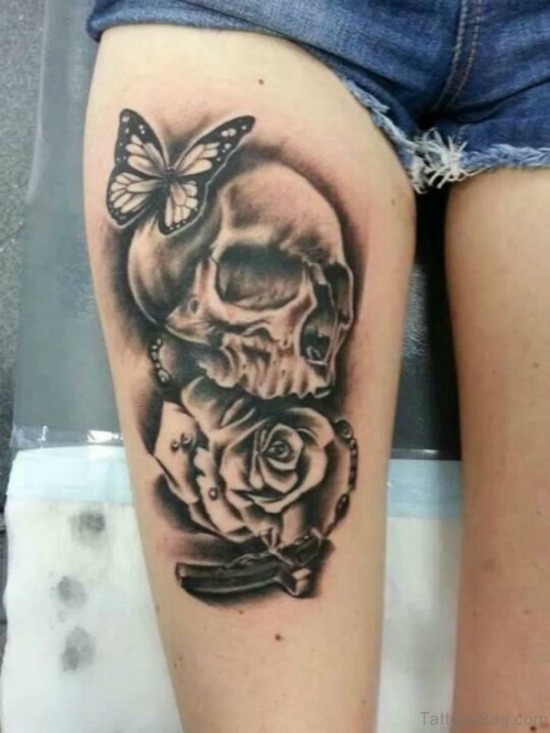 It represents the essence of women at their best. 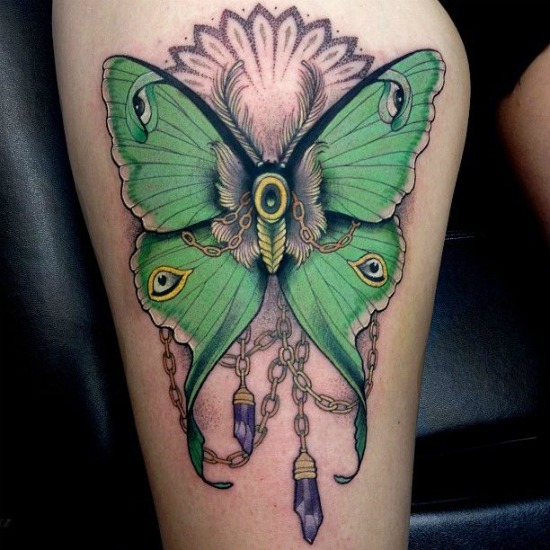 In addition this type of design allows to incorporate and play with more than one color, which ends up reinforcing the concept of feminine beauty. 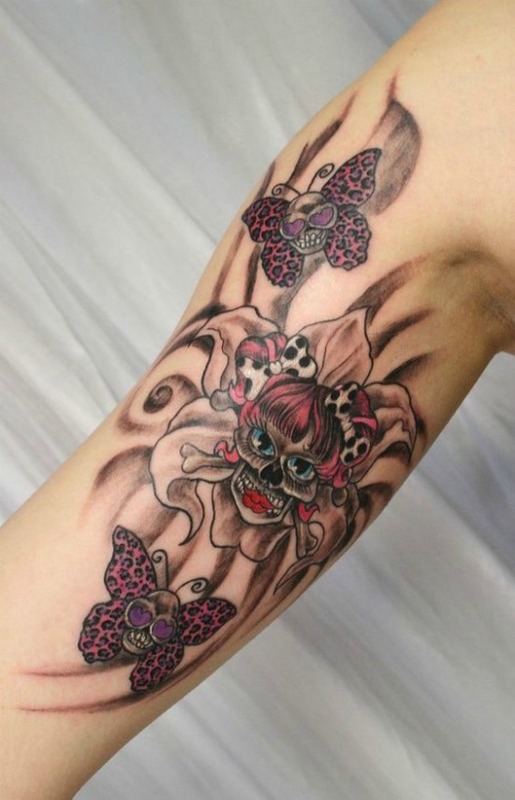 Generally when you opt for this type of design it is advisable to think of areas of the body that insinuate. 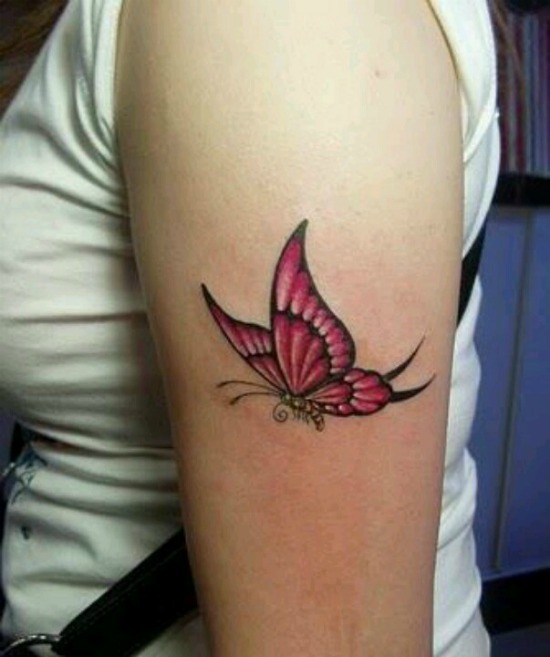 In this way the “feminine” character of the tattoo is emphasized. 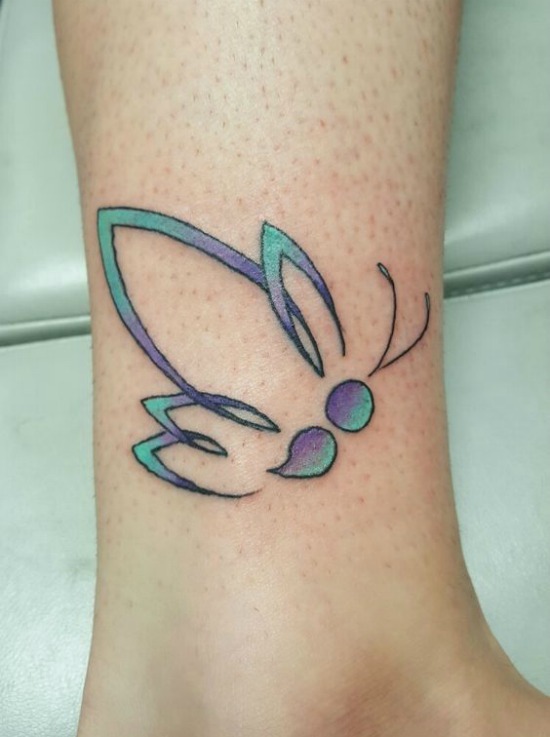 Using soft colors and tones is a trick to make the design look more. 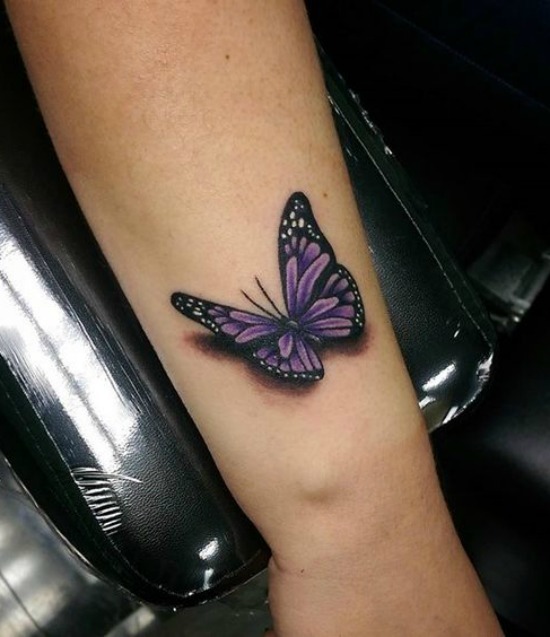 When strong colors are used the look goes towards the color and not towards the form. It is frequent to find some reasons that include a succession of butterflies, a large one heading the row and other smaller ones behind. 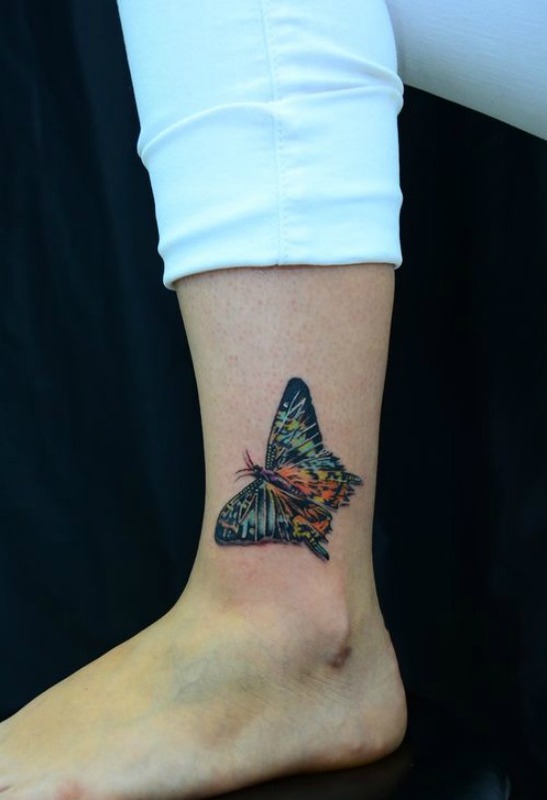 Tattoo professionals have explained that some of their clients ask for tattoos from several butterflies when they want to express a feeling of rebellion. 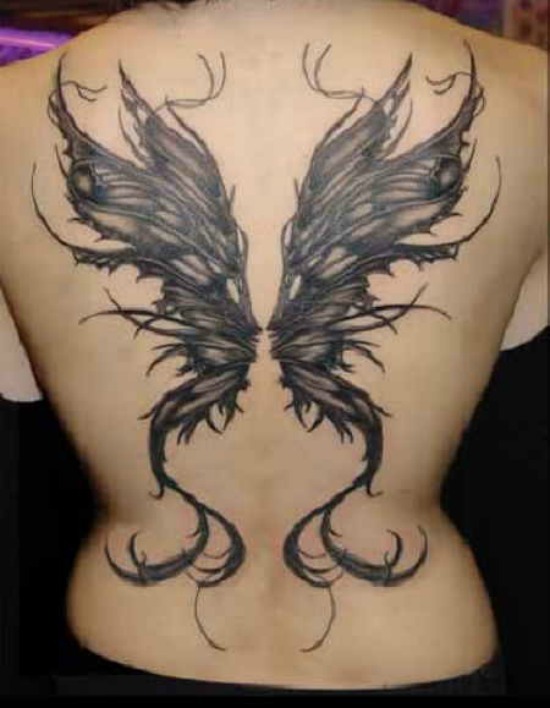 To that? Towards the way humanity is treating the planet. 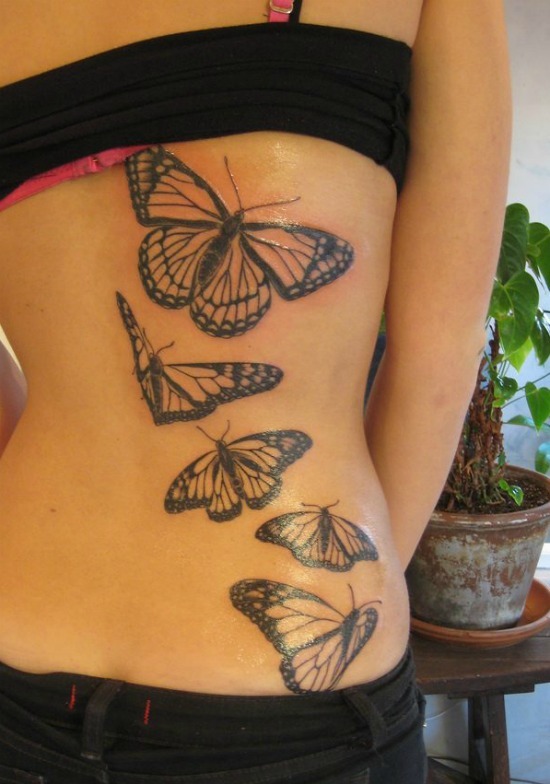 The butterflies are very fragile and at the slightest human movement they fly. In a similar way our planet Earth behaves, is sensitive to human action and is fragile to the extent that we can do much harm. 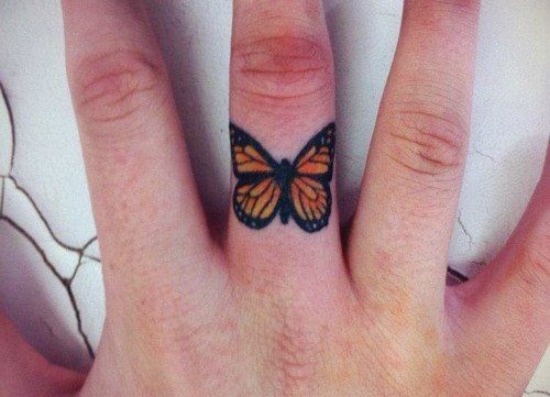 This is one of the most chosen options for men who want a butterfly tattoo. 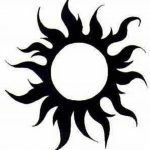 Tribals are very versatile in that they allow you to play a lot with size and do not necessarily have to mean anything. 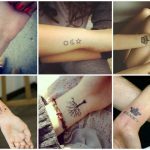 However, those who rationalize the tattoo a lot, generally look for a concept that inspires them every time they see it. It is one of the known species, and its shape is one of the most classic. 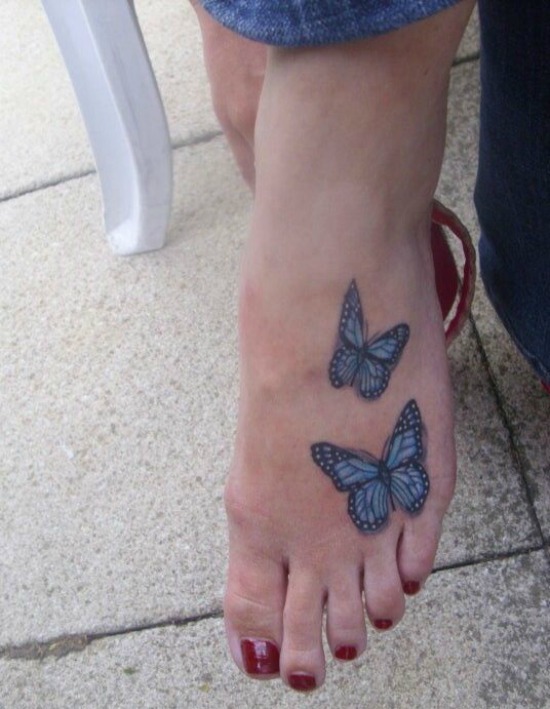 There are those who even choose to respect their original size, which ranges between nine and eleven centimeters. 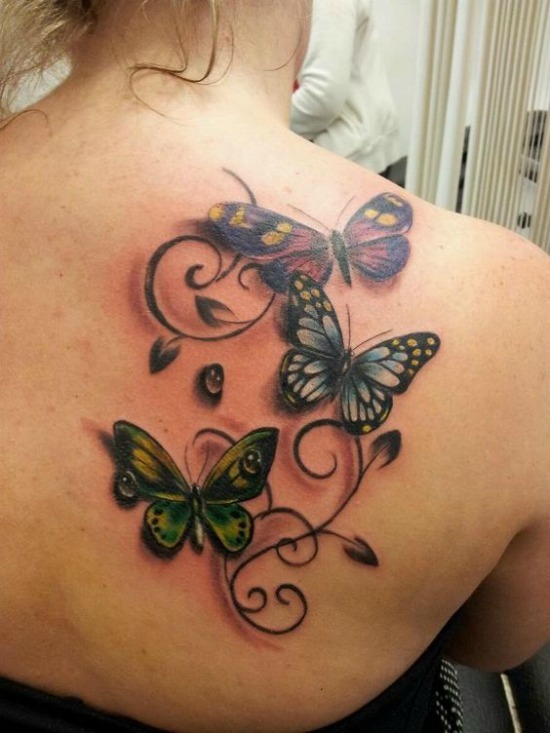 This is a beautiful example of a great tattoo with several monarch butterflies tattoos on a girl’s back. 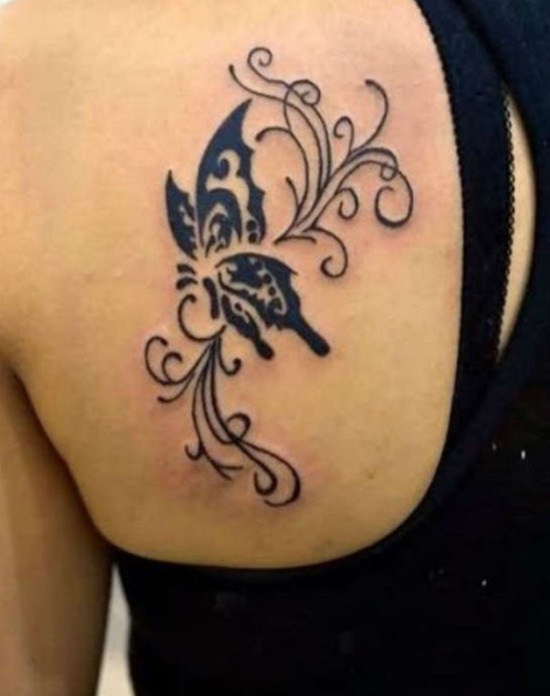 If you are looking for discreet design, look at this small monarch butterfly tattoo, ideal for placing on the shoulder or back. 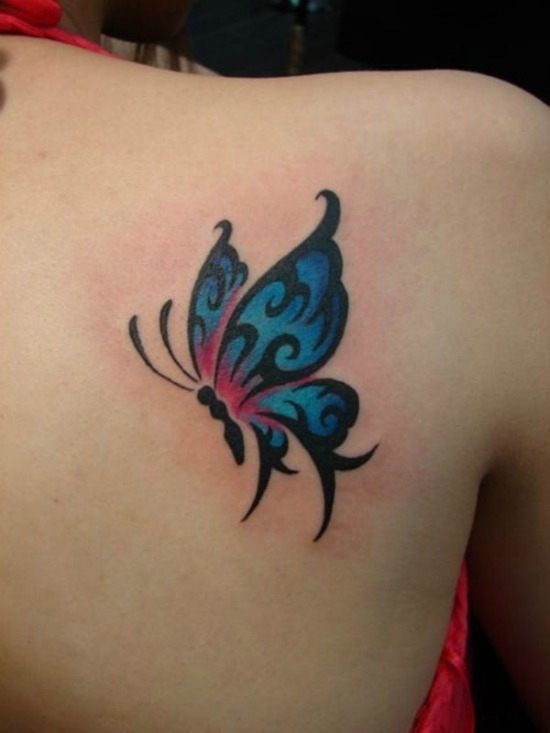 The inclusion of colors is an important choice because in general, the colors convey emotions and meanings. 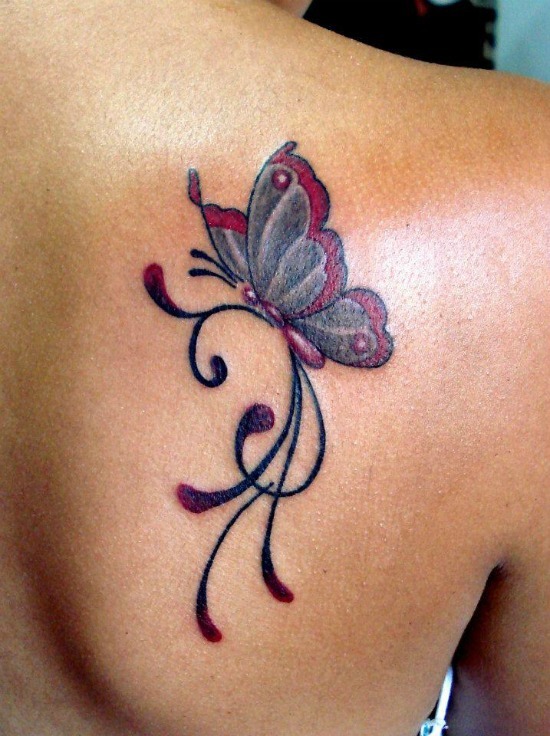 If the butterfly is black, then it augurs death or misfortune to whoever wears it. If it is white, then good luck may be coming to you. When it is brown, then a disease is hanging around the family. 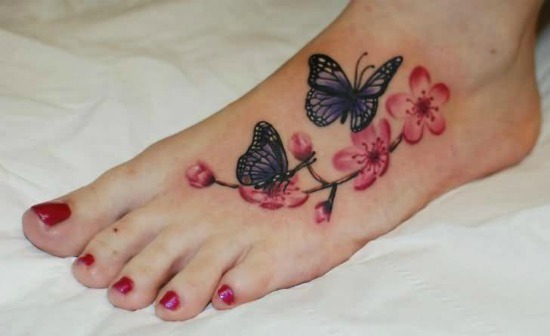 Butterflies that combine red and pink tones worn by those who venerate the love of the couple as something transcendental in their lives. 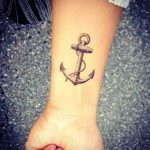 They are the less frequent ones, and for men’s best opt for this zone. 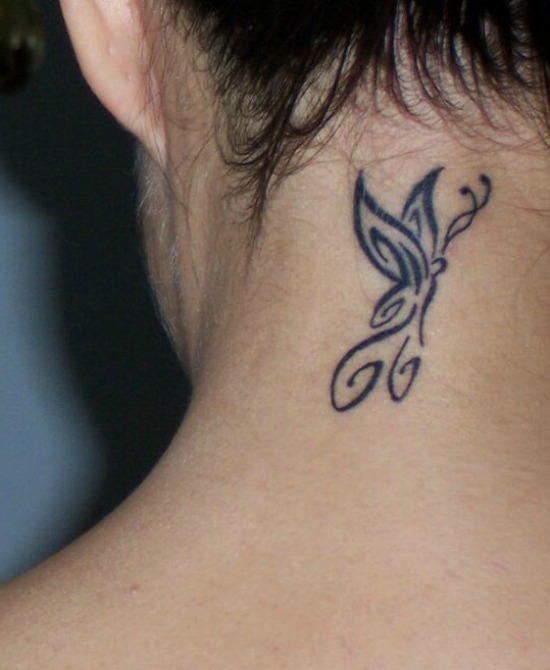 The butterflies are not among the most chosen design for this area, but two or three small along the neck and ending at the base of the head can result in a very original and very delicate tattoo, especially for women. 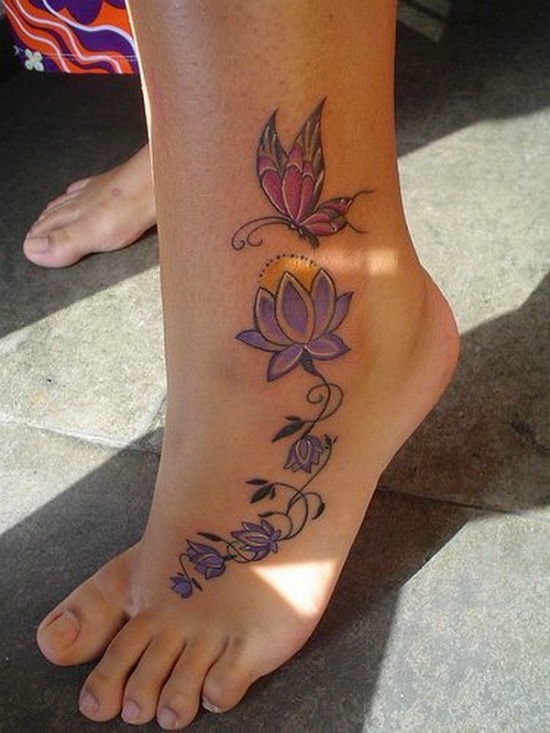 It is an area in which almost any tattoo is very elegant and sophisticated. 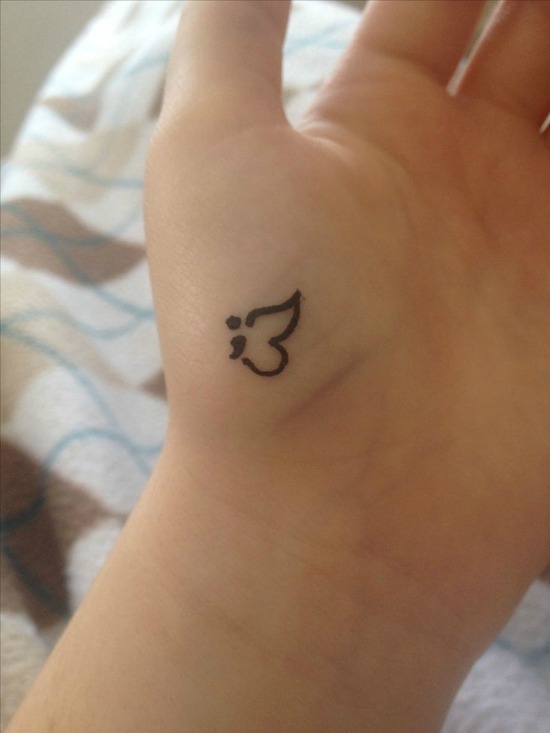 The key point for this place is to consider that the tattoo should be very small. 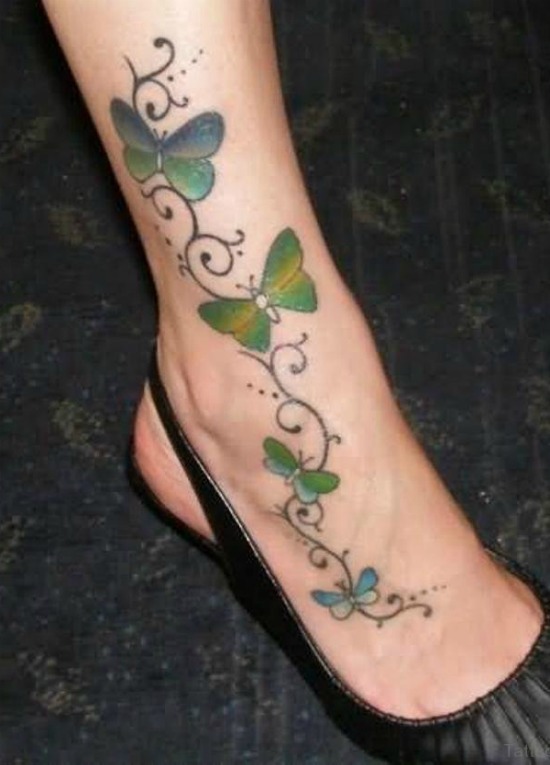 A colorful butterfly on the outer ankle will be very attractive. 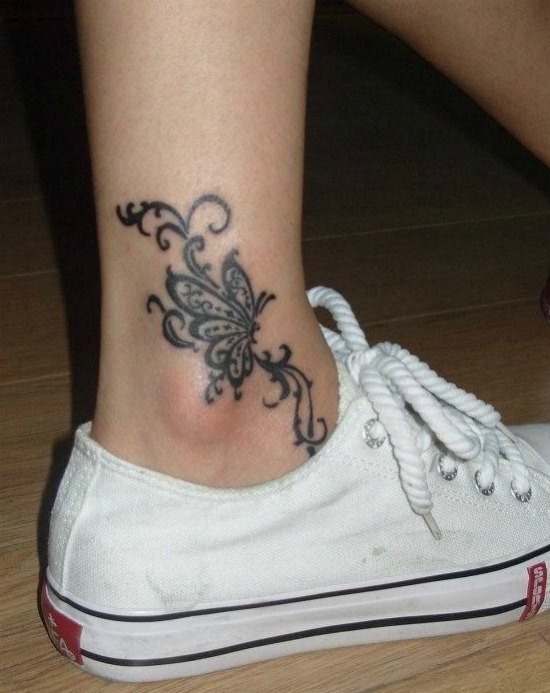 Both casual shoes and a heel will always look very feminine and delicate. 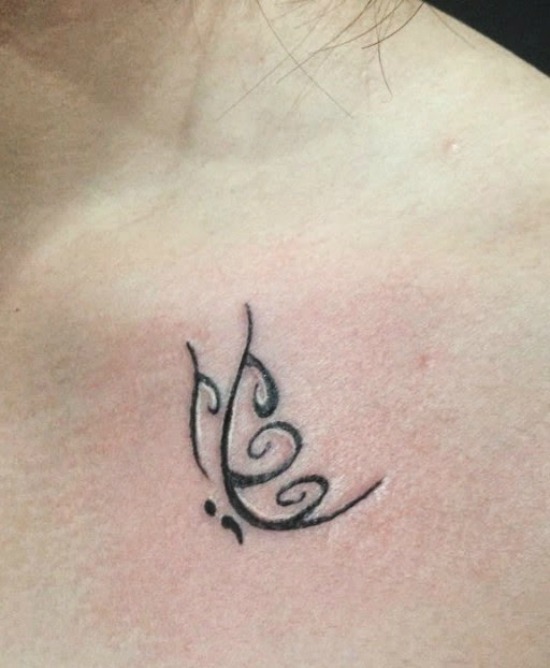 It is one of the most chosen parts as it gives the option of both a large and a small tattoo. 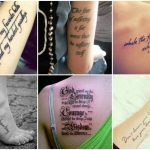 It is also important to keep in mind that it is one of the parts that hurts the least and the fastest the tattoo is fixed. 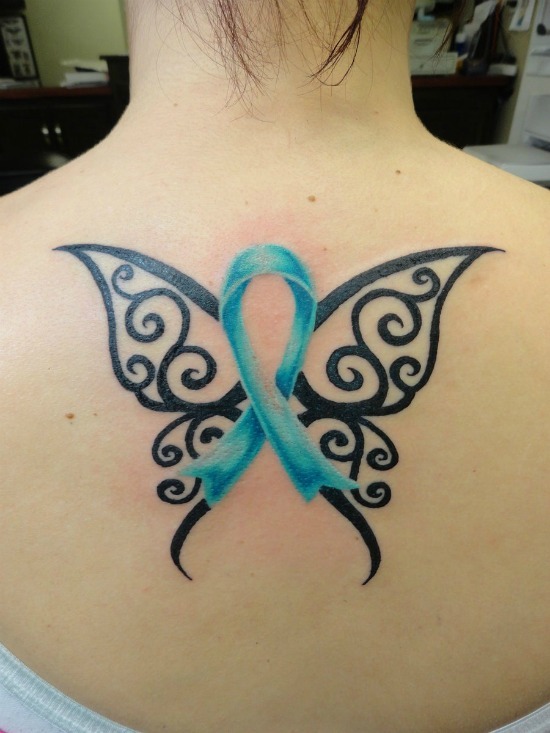 It has the additional advantage that there is no need to shave and the risks of infection are lower. 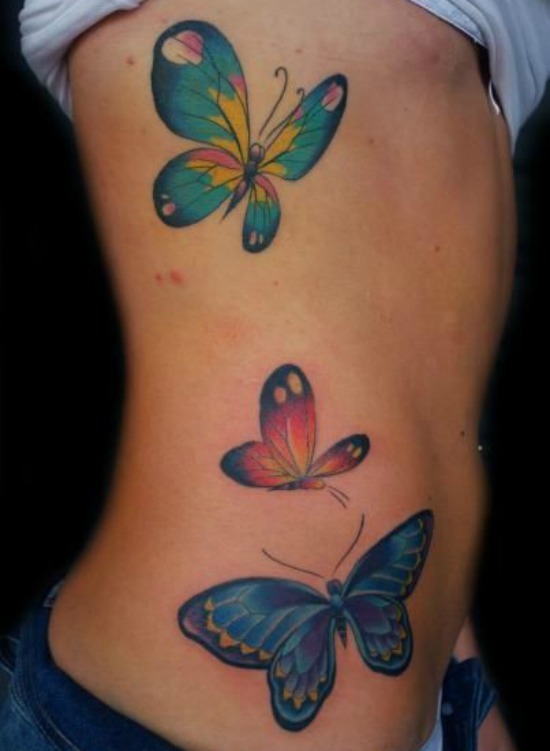 The butterflies on the back tend to be completely exaggerated, that is to say with the wings completely open. 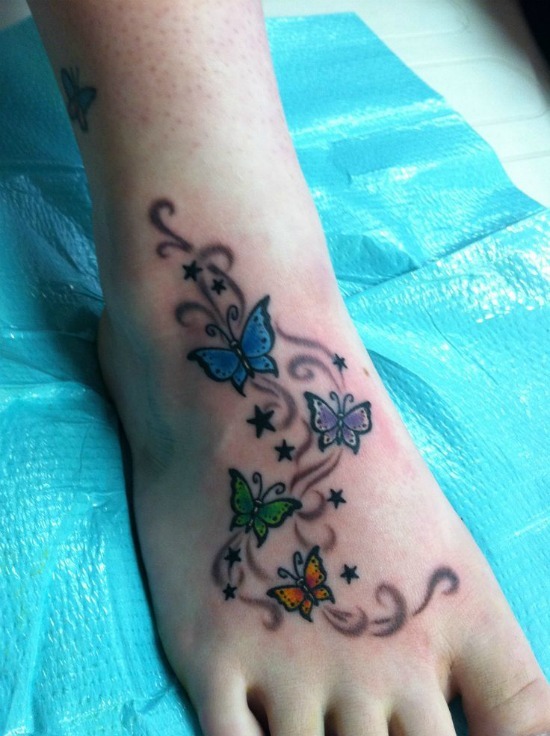 This allows the tattoo artist to play with more colors and types of strokes. It is always an option when choosing a provocative and unusual area. 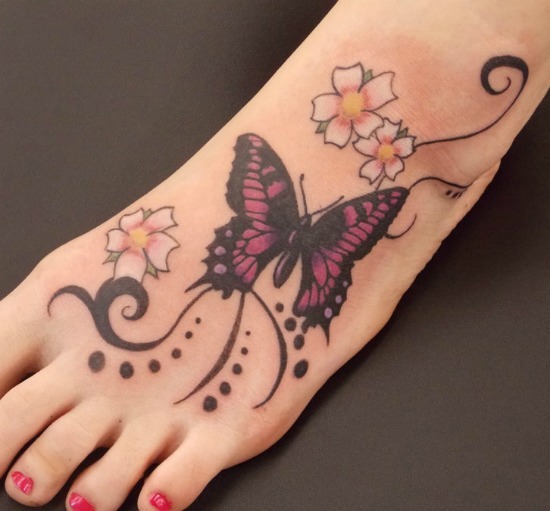 Of course you have to consider greater risks and pain, due to the type of skin in those areas. 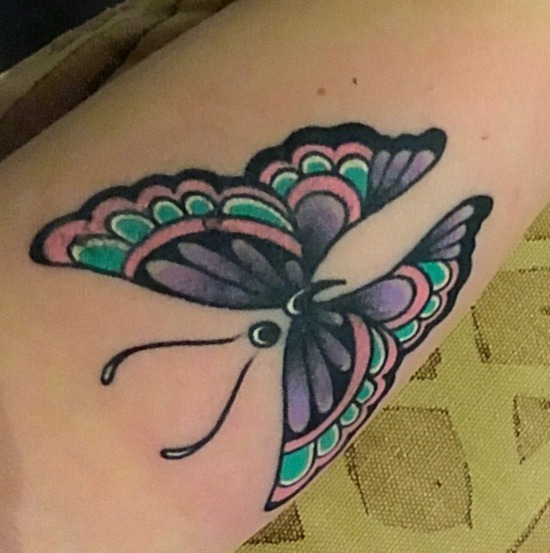 Whatever the area where you tattoo, whatever the design and color, a butterfly will always look good, as well as possessing a beautiful meaning.